This is Sonny ( King Charles spaniel)our hospice has a few PAT dogs, sonny is one that visits regularly, he is a very gentle character, and the patients really bond with him. So I decided he should be painted. 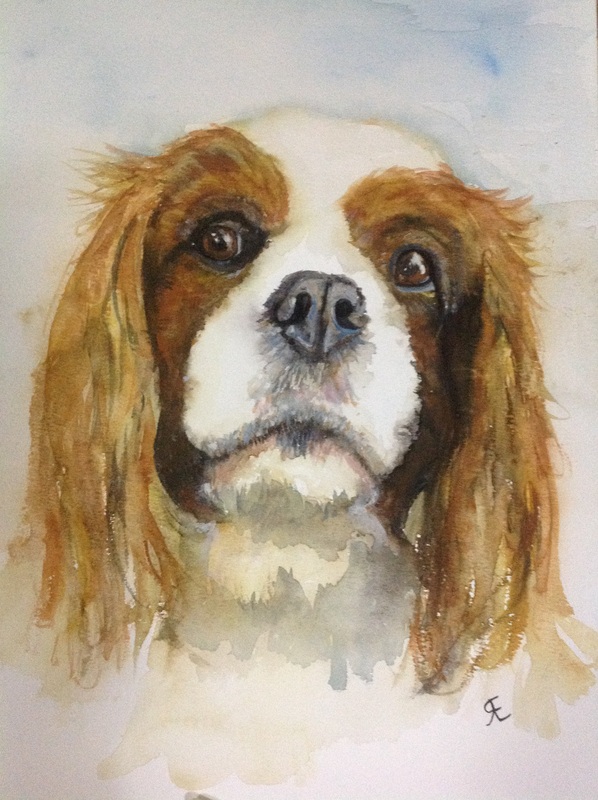 This entry was posted in art, dog, King Charles spaniel, PAT dog, Uncategorized and tagged art, painting, PAT dog, watercolour. Bookmark the permalink.